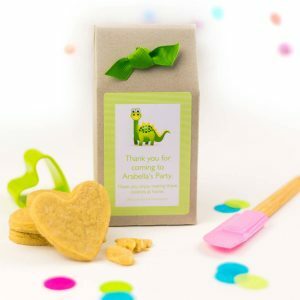 Our alternative Cookie Mix Party Bags contain our Belgium Double Chocolate Chip Cookie Mix and come with full instructions to bake at home. 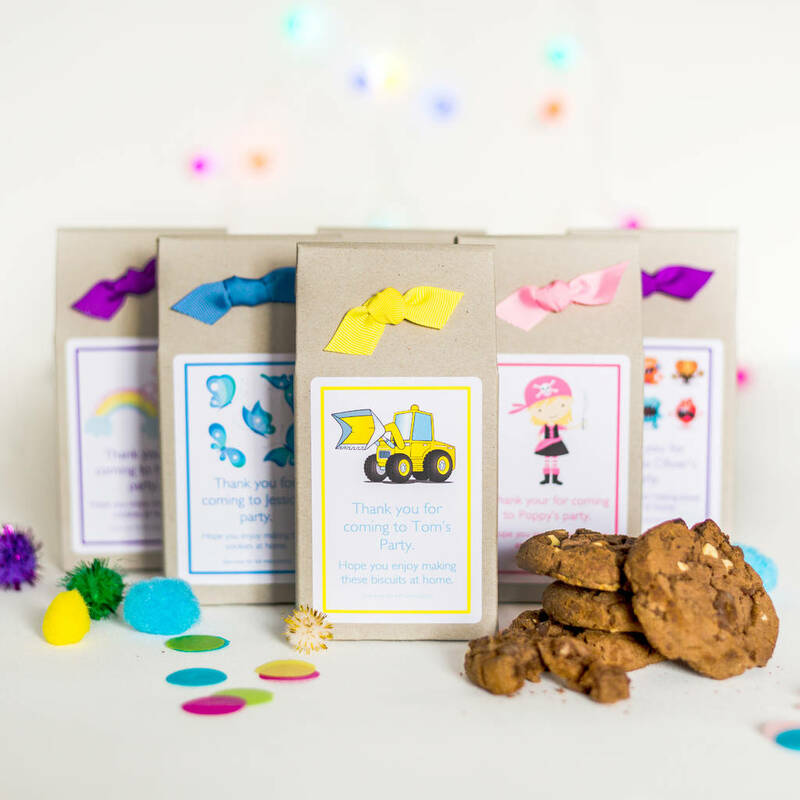 The mixes are presented in stylish boxes (made from recycled board) with your choice of themed labels which include the party child’s name. Ingredients: Flour (wheat, Calcium, Niacin, Iron, Thiamin), sugar, white chocolate chunks (sugar, whole milk powder, cocoa mass, emulsifier (soya lecithins), flavouring: natural vanilla) , cocoa powder. 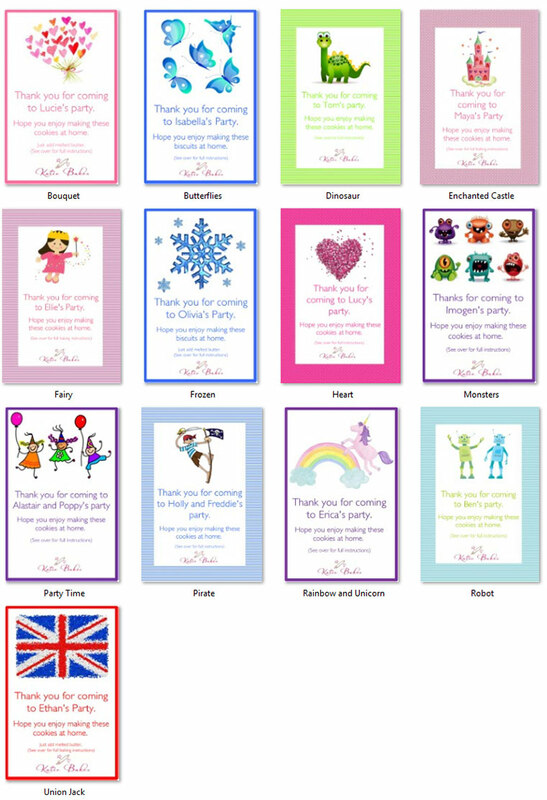 Place your order via our website and enter the details of the Party Child’s Name and the date that you require your order by. Wording will say “Thank you for coming to <name>’s party. Hope you enjoy making these cookies at home.” Unless you provide alternative wording. 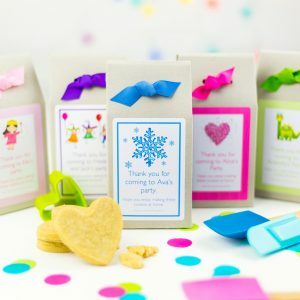 Our party guests loved them! On time. Beautiful packages. The girls liked the present and the biscuits came out great.